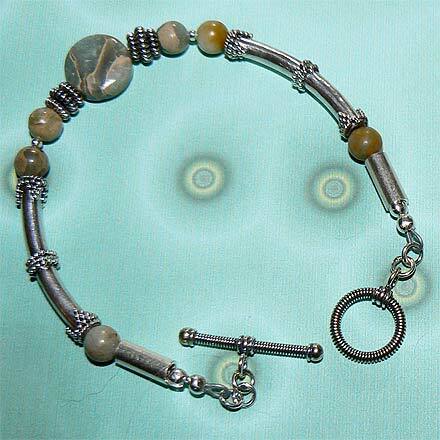 This stone is African Blue Opal, a common light blue-green opal amongst a brown matrix. The result is a stone that is evocative of aerial pictures, seasides, lakes and ponds. Its nickname is Impression Stone for all the impressions of scenery that come to mind, no doubt.